In early 2018, IKM Cleandrill will start their first offshore operations in the Caspian Sea after being awarded a contract for riserless mud circulating system services by Total E&P ABSHERON BV on behalf of JOCAP, Joined Operating Company for Absheron Project, JV between SOCAR (50%) and TOTAL (50%). 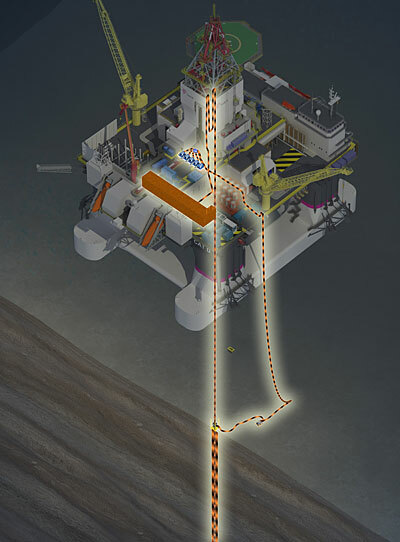 The contract will include the installation of IKM’s MRR500 mud recovery system onto a new semisubmersible drill rig, and provision of subsea drilling fluid pumping services as part of Absheron Project’s drilling campaign in the Republic of Azerbaijan. The project is technically challenging, with deep water, high mud weights and potentially harsh environmental conditions. IKM is upgrading their standard MRR500 system with increased pumping power to meet this requirement. The new ‘MRR500 XL’ system will provide Absheron Project with the latest generation high-power mud recovery technology.